I feel that this is worth reading, not to dissuade ourselves from honoring channelings, but to be more clear in what the various channelings offer us. They have their purpose and provide a sense of ease or encouragement, as well as multiple perspectives about a certain situation. -A.M. Following your suggestion that I discover what the mechanism is for attracting energies that create interference and bring misinformation to a channeling, I asked the Elohim about this today. They said that I am a perfect channel and that I have no need, nor requirements of an “energizer” as that is also a built-in ability along with clairvoyance, clairaudience and clairsentience. The problem arises when I am asked to psychically or emotionally assist others who have darkness around them, or who carry dark energies within their fields. The example they spoke specifically to me about was this woman who… asked me directly if I could help her. I so feel her desperation within her emails that were long, frequent, dark, and forceful in nature. She is really caught in a web of darkness and her Soul is crying out for help. This past week I went into a deep trance with the intent to understand some of her issues and ended up speaking in Latin, Spanish and Italian and carrying out a healing with the help of the Elohim. I do not recall what I was saying or what exactly I did for her. “There are standards of care deemed necessary for the purposes of connecting to sentient energies of another dimension. These standards are to be followed faithfully to ensure correct connection and therefore correct communication… In your case you are a perfectly clear receiver, on your own and need no other to boost the abilities (of God) within. When you are in another’s company, you drop your standards of care, which then allows the flow of disinformation to arise. The other may be perfect, whole, complete but expedient energies around know this well and do take the opportunity to nullify, to negate and eliminate the clear channel/receiver you carry within your energy field. Your energy signature is pure and clear and acts like a beacon in the night. This draws attention to itself from undesired energies that have in some manner ‘ridden’ the waves to attend your enjoyment (when Julia and I get together). Planetary Healing sessions are excluded from these recommendations as the energy flows in only one direction, to the site of imbalance. You shall now guard yourself against such attacks by not engaging the negative side, by not addressing it, by not considering it, by not implementing any such treatment nor care of it. This is imperative for your protection and in perfect service to your monad and to your mission at this time. I am glad to hear that the Elohim have essentially confirm what I also saw. We are such powerful and bright beacons of light that we attract all kinds of twilights like moths by a light bulb. One must be very careful not to let them in. I have had this problem for years but it has subsided now. You should indeed be very careful now and not engage in such healings. Let the trillions angels that have now entered the astral atmosphere of the earth do their job in excarnated state and help such lost souls. Our duty is now to preserve our fields intact. I have also had similar attacks in the past. For instance one German woman who channeled the Anunnaki entity “Enki” established contact with me and was very ecstatic about helping me promote my website. I was very sceptic from the very beginning. Then this entity began to channel for me without my permission or request. I analysed the first message to me and found it to be compromised and dark. I truthfully told this woman that she should stop channeling this source if she wants to progress. After that she stopped any contact with me, which was a clear sign that she herself was a carrier of such compromised energies. This is in fact the case with most channelers nowadays that publish and that is why they do not want to have any contact with us as we expose them automatically with our high frequency, pure energetic fields. The only channel that criticizes this trend is Petra Margolis. Read her latest channeling which is very revealing in this respect. This is a very delicate subject as many are convinced they are translating their messages in the most pure way possible. The first fact we would like to mention is that many are not really receiving a message but are tapping into certain energies either within the human consciousness, from another being or just universal energies. Let us explain this, some of you are waiting daily to receive a message, or you want to receive a message. What you are doing at that moment is that you are consciously reaching out to receive a message. In this way you are sort of putting your feelers out there to receive a message. Once you put your energy, your feelers out there you are tapping into energies out there, outside of you. You are in fact pulling in energies and translating that energy into a message, assigning it to certain beings as you have some idea of what certain beings feel like. 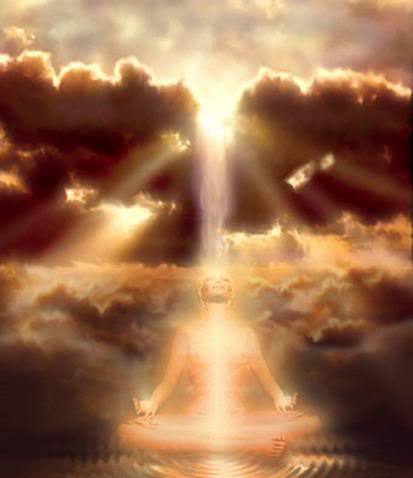 The ones that are getting messages are receiving a cloud of energy from a certain being or beings. This cloud of energy comes in and is being translated. The translation process is done through the human mind, the human understanding and the human knowledge and belief systems of the channeler. The translation is done through how the human thinks and speaks, so if the being says “hi”, the translation from the channel can be “dear ones” or “ we greet you”. As you can see this is a great difference from the actual message. Messages from other beings are usually simple, they do not use grandiose words as they have no need for this as their messages are to be understood by many in a simple way. Let us give you another example, if the beings say “there is new energy coming that will assist you in exploring more of a range of frequencies”, the translation can be “a higher frequency of love is coming to earth, allowing you to become more light, more love and to spread this to others”. As you can see in this way the belief system of the channeler has a great influence on the message. Other messages from some channelers are only representations of their own belief systems, something will trigger within them a need to explain a certain subject and they will do this through tapping into their own knowledge and belief systems. Many messages are also coming from within the control system and groups or beings that are part of the control system. There are many misunderstandings as far as channeling and messages that are being channeled as many channelers will attract beings that give message that are in accordance to the belief system of the channeler. Another thing that can influence a message is the state of being of the channeler, the feelings and emotions of the channeler. Some channelers will be exploring other dimensions and in this way move into a different state of feeling and emotions, sometimes euphoric and they will translate a message from that state of being. For example a channeler can reach a frequency they have not experienced and understand and think it is a source frequency, they will translate from that view or state of being. In this way naming source as their messenger, or the creator or god. There are so many ways you can interpret a message or the energies and there are so many ways the channeler can influence the message that it is up to you to discern, but also realize that while you’re discerning you are doing this through your own state of being at that moment, your own belief systems at that moment. Some think that having another being in fact take over their body and in this way they will be able to give a pure message is also not true. Any being that wants to give a message by taking over the body should be considered as possibly not truthful as there is no need to take over the physical body. The reason a being might want to take over the physical body is because the being is attached to your physical reality and in this way can be within a physical body for a short time. Any information coming from a being like this should be considered possibly not truthful at times. There are some who have other parts of themselves coming through in this way, but most of the time these channelers will still be able to hear and speak themselves as well. We hope this will clear up some of the misunderstandings about channelers and messages that are being channeled. The best suggestion we can give to anyone channeling is that you come from a neutral state of being and leave behind all you belief systems and attachments when you receive a message. From one source to another.